Interest rates also impact equity valuations by changing the discount rate. If the value of equity is equal to the value of all future earnings in today’s dollars, investors must apply a discount rate that represents the prevailing interest rate over the period. 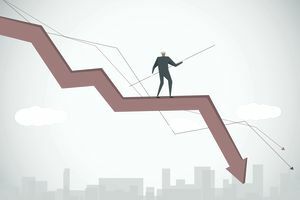 Rising interest rates mean that a company’s stock is worth less today, which would theoretically reduce the equity’s valuation and market price at the time of the interest rate hike.